I loved getting super girly in lots of pink and neon shades. These Steve Madden sandals were the perfect pairing for such a bold look; they are neutral and almost unnoticeable. They are so simple to not take anything away from this look. I'm thinking I will need to invest in another pair pretty soon. 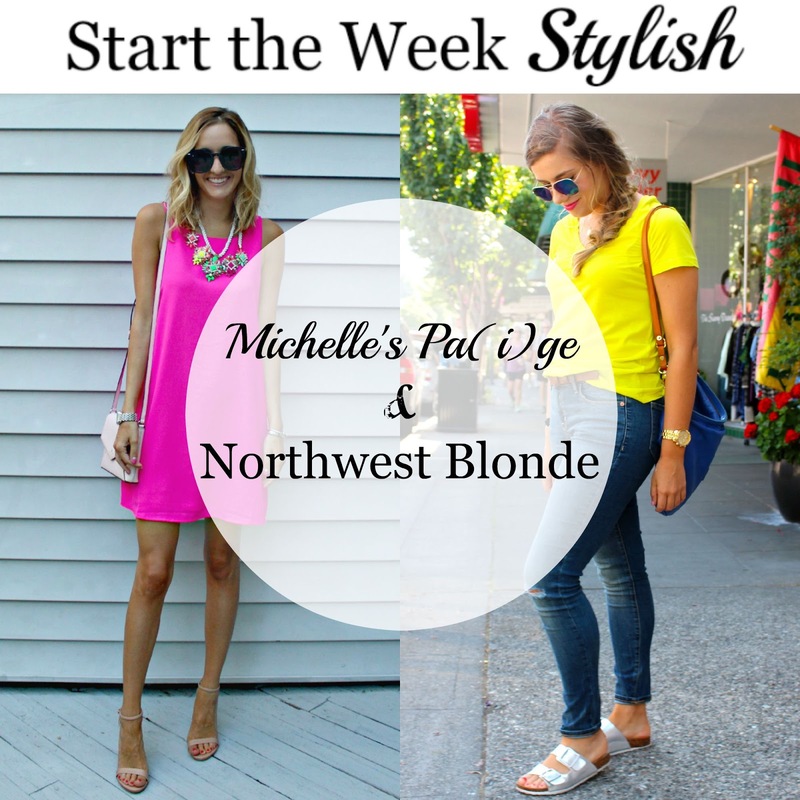 Meet our co-host for this week's Start The Week Stylish linkup: Missy from Pop of Style! Missy is a style blogger based in Orlando, Florida, where she not only shares her outfits, but also shares make-up tips, recipes and other things that inspire her! Be sure to stop by her blog this week and say hello! Our favorite beach day looks from last week were Olivia from Style by Liv & Alexa from Fabes Fashion. Love this pink shift dress on you! Great dress and a stunning necklace! Such a pretty dress! Love the necklace too! The hot pink dress and statement necklace - both stunning! This color looks great with a tan! Love the fun necklace and that pale pink bag is the perfect finishing touch! I love wearing neons and bright shades towards the end of the summer! What an awesome outfit! I love this neon pink dress and the necklace is stunning! I love your pink dress and that necklace you added is the perfect touch for a super colorful outfit! You are so pretty in hot pink! Absolutely stunning, I love this whole look. Pretty burst of color on you Michelle! You look great in this neon slip dress. I'm super obsessed with this dress and the shoes. I'm looking for a pair for myself! The shoes are totally worth the purchase! I wear them with statement looks all the time!